These mounts allow you to carry a Super Vac fan on the running board off your vehicle, for fast removal at the the scene. 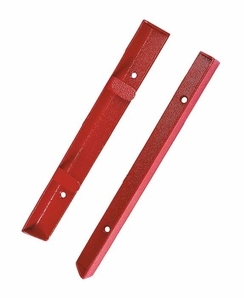 They provide a secure, positive hold for the protection of equipment and personnel. Running Board Mounts can also be used to lock smoke ejectors in place within a compartment.